Yeah I know...It's super early but I think it's also fair to say that there is plenty we can discuss that isn't going to change much in the offseason. I believe this thread will evolve as the season goes on in regards to players that show promise or improvement as well as players who show deterioration and regression and continue to hinder our team. *For now, I prefer to keep this thread limited to those who are active members of this team, whether they are 'inactive' on game day or not. I'm pretty sure you know what I mean. With the above said, I'd like to share some of my opinions on the team. I understand they won't all be agreed with but I will warn you, some of them are very drastic. First and foremost if you don't already know that our defense has not remotely improved over the last few seasons, you have clearly been sleeping under a rock for the last three weeks (or years). Between poor drafting and FA decisions that have not worked out, we have only seen our defense get worse. I will give some credit in the respect of Bostic who has improved our rush defense to some degree, however, there are so many other liabilities on defense against the run and pass that his presence is not consistently noticed as a positive addition. When the offseason gets here and it's time to decide who to keep and who to not keep, here is my opinion and first and foremost please allow me to tell you who on our current roster, will be going to Free Agency (if not resigned) at the end of the 2018 season. Of that list, there are 5 that I think should be brought back and only 5 (all bolded), the one in bold AND italics, we NEED to bring back, he deserves a new contract. Not one of the others, yes, including Ryan Shazier, should get a new contract. Ramon Foster, god love him, should be let to go to FA and BJ Finney should be made a priority as his replacement. I'm actually on the fence about Artie Burns but I believe even if he isn't a starter, he can help our team in depth as he'd be better than some of what is out there for certain. What I've just suggested requires a MAJOR overhaul of the roster and I get that, but looking at how poorly our defense is playing and considering the fact that most of the players I suggested getting rid of are on defense, I think it is a necessarily overhaul. There are other guys at that position such as Anthony Barr, KJ Wright, Kwon Alexander, Dee Ford, Eli Harold, Shayne Ray among others that I think could be worth a look. D.B. & AW I think will require big money. S Ha-Ha Clinton-Dix - This is my 2nd to the top choice at the position. I honestly think he'd work well in our secondary. I also think that he could come at a reasonable price. S Landon Collins - Would be an interesting signing, good tackler, good coverage, probably super expensive. S Earl Thomas - This is my top choice at the position. It just doesn't get more legit at Safety. WR/RB De'Anthony Thomas - Should KC not resign him, lets go out and add him to the roster for Kickoffs and Punt returns, no, not to replace Switzer, to add to Switzer. We saw KC do this against us, think about having both of these guys back there every time, a team having to think about both of these guys as weapons, having to choose which one to go after, to kick to, or to kick out of bounds every time. RB Adrian Peterson - Because of his age, he might be able to come at a discount, but given his age, I'd be surprised to see Washington resign him, why not go out and add him as depth to our backfield. Now.. to explain a couple of my cuts further. Jaylen Samuels has yet to be utilized, this may be one of the ways in which this thread evolves, same way with Marcus Allen, it's probably too early to tell on either of them. So with the above FA signings, (btw no, i'm not suggesting signing all of the safeties, however I AM suggesting signing every single one of those LBs), if we even got a couple of them, I'd be happy, especially if it was Deone Bucannon. Heading into the draft, even now, I feel CB, LB, S have to be at the top of the list. I don't feel that RB has to be at the top of the list, I do feel it has to be on the list. I don't even feel it's gotta be someone to directly 'compete' with Conner, but someone that is something he isn't. Conner runs almost in a 'finesse' manner but has shown good power running to the outside to shrug off weak tackle attempts. I'd like to see us pick up a power back with a reasonable amount of speed, even if for no other reason than the short yard or 'bruiser back' situations. Someone like DeAngelo Williams or even better, Jerome Bettis that was able to wear out defenses and make it even easier for the other guys (albeit Bettis was the guy). I'd like to see us draft almost exclusively Defense quite frankly. I don't feel that we need to come away with more than 1 CB but i do feel we need to come away with more than one LB. If we were to do what I suggested in FA, we wouldn't but realistically, not all of the guys I suggested parting ways with will be parted with and probably none of the guys I suggested as FA's will find themselves here. I hope to see us keep this thread active and interesting. I am not above having my mind changed, I don't know everything, right now I'm going off of my somewhat emotionally led opinions on what I've seen over the last few seasons and what we're getting on the field right now. This was mentioned in another thread, its something that hadnt occured to me before. If this season ends badly, I mean as badly as it could, well Ben has already considered retiring because of the lack of improvement of talent on this roster. I would be willing to suggest if we dont finish .500 Ben retires and we find out the hard way whether Mason Rudolph is the guy or not. What I've just suggested recalls a MAJOR overhaul of the roster and I get that, but looking at how poorly our defense is playing and considering the fact that most of the players I suggested getting rid of are on defense, I think it is a necessarily overhaul. ET is boss on this list, clearly the player to get if I am trading right known2018 before the trade deadline or next offseason. I would trade for him now and sign him for what he deserves and wants, then FS is set for years. Done ! I wasted to sign him this year, people here laughed. If washington lets him go, we sign him for the last few years. You KNOW that he will be in tip top shape (unlike bell last season) and ready to go and with this OL should get 5 ypc. He could also mento Connor, so this is win win and we can save draft picks for other areas. Heading into the draft, even now, I feel CB, LB, S have to be at the top of the list. I don't feel that RB has to be at the top of the list, I do feel it has to be on the list. I don't even feel it's gotta be someone to directly 'compete' with Conner, but someone that is something he isn't. Conner runs almost in a 'finesse' manner but has shown good power running to the outside to shrug off weak tackle attempts. I'd like to see us pick up a power back with a reasonable amount of speed, even if for no other reason than the short yard or 'bruiser back' situations. Someone like DeAngelo Williams or even better, Jerome Bettis that was able to wear out defenses and make it even easier for the other guys (albeit Bettis was the guy). I'd like to see us draft almost exclusively Defense quite frankly. Us, not colbert. This is the reality, because if he draft D exclusively (and does this draft have that much D value) it could be a waste of a draft. Untilwe get scouts or a GM that can recognize D talent, I am more of a UFA signer for D because of picks like Hood, Jarvis, Dupree, Burns, Davis, etc. Adeyini and Thomas were steal/gifts, not draft picks IMO. I don't feel that we need to come away with more than 1 CB but i do feel we need to come away with more than one LB. If we were to do what I suggested in FA, we wouldn't but realistically, not all of the guys I suggested parting ways with will be parted with and probably none of the guys I suggested as FA's will find themselves here. If this draft has many good CB's , I am all for a CB in RD1. We have Edmunds to prove us right at SS, and then sign ET for FS. Haden at CB1 and then RD1 pick with CB2 if the scouts can get it right. Maybe a poll here would help them, they are that lost IMO because burns NEVER looked like a RD1 CB . Is this draft and UFA a good year for CB and Edge? What do you think Shane Ray will cost? For LBs this FA is potentially excellent class. who are the ones you want the most? I only see Ray as a potential signing, it makes sense because between Ray, Watt and Adeyini, we might get 2 on the field healthy. ILB though, the VW deal seals the fate at ILB. Bostic has ben solid in a traditional LB role, Thomas should be the TE defender so that all works. Maybe a RD2 or RD3 draft pick for depth but who did you have in mind? With all the injuries and lack of playing time and production, do you think Ray signs a 1 year prove it deal or opts for a 3 year deal and for what cost? Your suggests would work if Ben retires. They are not going to blow up the defense. Does not make sense game wise or salary wise. I would keep McCullers ( can't believe I am saying that). he has been a force inside this season. Bud's contact is guaranteed( $9M in dead money) so that would be throwing money down the drain. Makes zero sense to cut M. Allen and Jaylen Samuels. They are cheap and need time to develop. Burnett would cost them $3M in dead money. Again not worth it. Here is the list of ILB that a FA next year. Not very inspiring. It’s only guaranteed upon injury. It’s a free and clear cut unless something happens like Shazier last year. No. It is fully guaranteed. That is the 5th yer option. ....that’s only guaranteed in injury. If he is eventually replaced by Adeyini, then they will probably limit his snaps and IR him the moment he gets a slight injury so they don't have to sign him next season. At least that's what I would expect unless they are seeing something we aren't. What do you think Ray will cost? Well the first thing they need to do is tell Ben its time for him to move on with his life. He is far too inconsistentx he is as much a problem offense as anyrhing. He was ignoring or not seeing wide open receivers and throwing into double and triple coverage tonight. That int was a result of a pass that should never have been thrown. If the Bmore dbs could catch he wouldve thrown closer to 6 ints tonight. Our oline cant seem to block for Connor to save their lives. And this defense is.completely done. There is no hope for it. Dupree has been playing very well. I do not see him being let go. I would rather release the entire coaching staff. As i have said before. Stale, predictable scheme. Dcoordinator that has nothing but wait to earn his position. OCoordinator that was only put there because Ben wanted him. Those two are showing nothing. No preparation. At least the Defense shows up in the 2nd half. First half Fichtner is just a waster of space. This times a thousand. I understand the issues with talent (or lack thereof), but talent is generally something you cannot turn over quickly and your put resources into it so you want to maintain. The Defense coaching staff should have turned over entirely last year. We had guys going into pivotal 3rd/4th years all over the place - you needed to find out if any of them are worth anything and our coaching is so awful we haven't learned anything. Yes, the talent isn't great, but look around the NFL teams -- other professional squads dont have our kinds of mistakes with communication break downs and substitution problems. That's basic stuff. Last night was more of the same and we got more video angles of the sidelines before plays -- seemed to show Harrison was right and there are too many cooks in the defensive kitchen instead of one clear and concise voice. Offensively, I was okay with letting Haley go and letting a Ben approved person be the play caller in order to keep him around and happy, but its obvious he isn't an NFL coordinator. He coaches like he is in college where athletes win and hasn't shown an NFL game plan or level of preparedness. Ask Falcons fans how Sark did last year. He still has no clue how to use Julio Jones. Fitchner is much of the same. We have 12 plays in opening series across 4 games....12. Andy Reed and Adam Nagy have that in one game opening drive. My biggest concern about letting Ben be more involved in the offensive planning in the off season -- 71/29 pass to run. Granted, some of that is game flow, but there were times Haley would at least put the hammer down and FORCE the run (often too much). But this defense cannot be thrown back on the field in 3 and out situations that take less than 3 minutes. 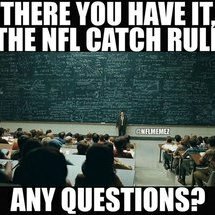 We need to own the clock and Fitcher/Ben have no clue why that is important because neither of them are play callers or offensive creators. The decision to bring back Butler is a bad one. You turn over the coaches, see what you get out of the players, then you turn the players over. We might be doing both because Tomlin cant get a grasp on this.